Indiana University Press, 9780253339348, 192pp. Moses Hess, a fascinating 19th-century German Jewish intellectual figure, was at times religious and secular, traditional and modern, practical and theoretical, socialist and nationalist. Ken Koltun-Fromm's radical reinterpretation of his writings shows Hess as a Jew struggling with the meaning of conflicting commitments and impulses. Modern readers will realize that in Hess's life, as in their own, these commitments remain fragmented and torn. As contemporary Jews negotiate multiple, often contradictory allegiances in the modern world, Koltun-Fromm argues that Hess's struggle to unite conflicting traditions and frameworks of meaning offers intellectual and practical resources to re-examine the dilemmas of modern Jewish identity. Adopting Charles Taylor's philosophical theory of the self to uncover Hess's various commitments, Koltun-Fromm demonstrates that Hess offers a rich, textured, though deeply conflicted and torn account of the modern Jew. 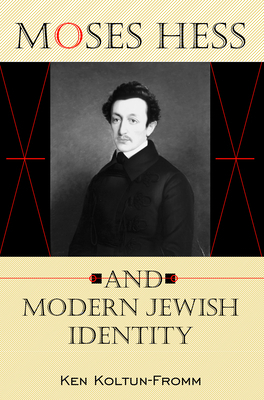 This groundbreaking study in conceptions of identity in modern Jewish texts is a vital contribution to the diverse fields of Jewish intellectual history, philosophy, Zionism, and religious studies. Ken Koltun-Fromm is Assistant Professor of Religion at Haverford College. He publishes in the field of modern Jewish thought and German studies.